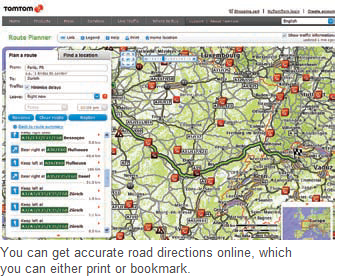 You want to calculate various routes and variants for optimum travel planning. The problem here is that your navigator often stops functioning because it requires satellite reception. Online travel planning via your computer at is simple and easy. 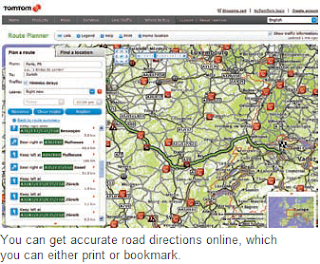 Go to routes.tomtom.com. In the fields 'From' and 'To', define the start and end locations, wherein accurate address specifications are possible. It is also possible to search directly on the tab. Here, right click the desired position and follow the “Start here” or “End here” link. You can define a time for starting so that intelligent time-dependent data from IQ routes can be correctly used for calculation. Then click “Plan route”. After a little time, you see the result and can list the individual steps with “Display navigation instructions”. You can go through all the individual sections, save the address displayed in the address line of the browser as a bookmark and then call it up later. This address can also be copied and sent via email. Note: Tomtom.com doesn’t have data for India.